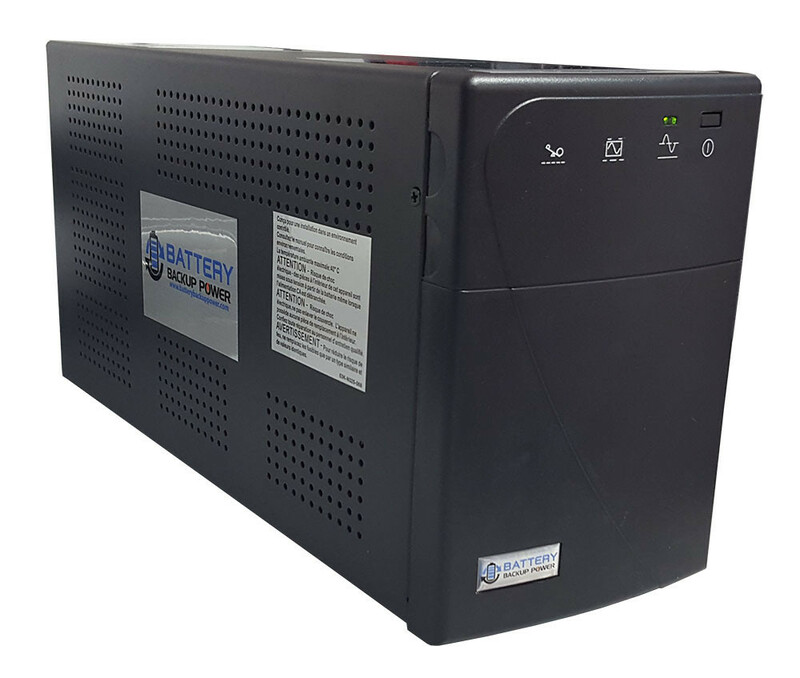 The Battery Backup Power Information Label – Battery Backup Power, Inc.
Every Battery Backup Power, Inc. uninterruptible power supply (UPS) system has an information label on it. It includes the four critical pieces of information for the end user. In this example, a tag from a BBP-1500AP-SSW-LI-LULZBOT-TAZ5 is used. The serial number has been left off on purpose. This UPS model has been specifically designed with the correct number of batteries and internal components to handle the electrical load (including inrush current) created by the LulzBot TAZ 5 3D printer. 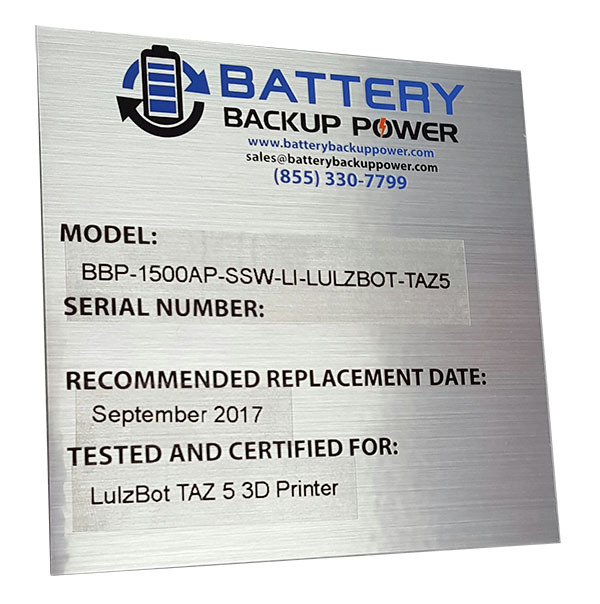 It provides power stabilization and emergency backup power for the LulzBot TAZ 5 3D printer which minimizes the risk of financial loss (in materials) due to voltage problems or frequent short term power outages during normal printing operations. If the backup unit is separated from the equipment it is designed to protect, it can be easily reunited by referencing the uninterruptible power supply’s information tag. This is critically important in large deployments like universities or government agencies where equipment may be moved around from building to building separately from other components.